We live in a rapidly changing world. Methods of education from the 20th Century won't work anymore and the the rapidly increasing costs of higher education are not sustainable. Higher Education reform was the reason that I became involved in politics in the first place. While growing up in Texas I saw how student loans and the extreme tuition costs impacted my own friends and family. I heard the chattering of people that said that someone should do something about it, so I decided to try to do something on the issue. In Harris County GOP (the 3rd largest county and the largest GOP in the nation). I passed a resolution to cap tuition for all public universities and colleges that accept financial aid to a reasonable cap decided by the legislature. I passed the same resolution through the Texas Young Republican Federation as well as the Young Republican National Federation. 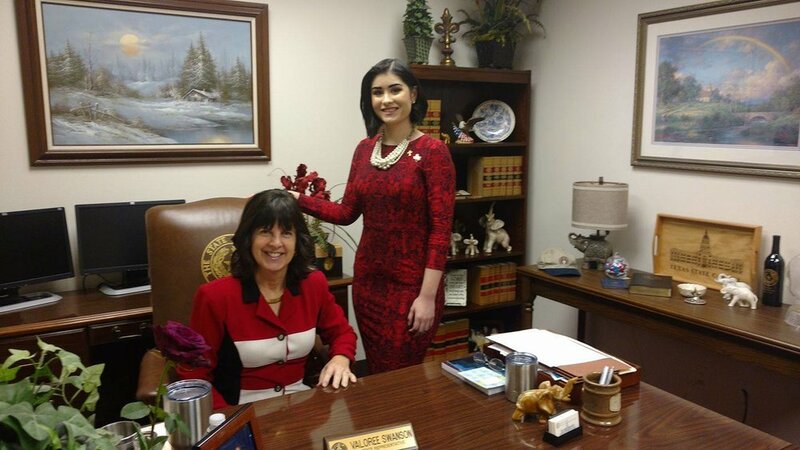 Around that same time, I was in contact with my local House Representative Valoree Swanson who after speaking with me wrote HB 1232 which would cap upon entry for a four year degree. In North Carolina we already have what Rep. Swanson proposed in Texas, but we still have much to improve to make going to college more affordable for the next generation. I am also strongly in favor of School Choice coming from a homeschooled background. Human Trafficking is an international crisis that needs our attention at the local and state level. This is a very important issue for me coming from Texas which is ranked #2 in the top states for human trafficking. North Carolina is ranked #8, which in comparison is better, but we have a lot of work to do to get rid of Human Trafficking entirely. If elected, I will work tirelessly to make sure that women and men alike don't have to live in fear, and have the freedom to live their lives as they choose full of the opportunities our great state has given us. I believe each person has the natural right to pursue the life they would like to live, regardless of race, gender, creed, color, political party, or sexual orientation. This is especially important in places where free speech is under assault. As an American I believe that all speech, even speech that one may disagree with or consider hateful speech is protected under our right to freedom of speech. If we get into the business of legislating speech we will not live in a free country. I also believe that differences of opinions and willingness to speak to our fellow citizens will only bring us closer to intelligent thought. Limited Government: I believe that people, not government, can solve many of the problems our state faces. While I do think there are some essential services our state provides, I favor small, limited government that lets people live their lives and spend their money as they see fit. The state government has a responsibility to provide quality education, mental health services, public safety, state parks, transportation, and a basic social safety net for the poor. Too often our government attempts to be involved in things best left to the private sector. I believe that freedom is directly tied to the size and scope of government, and I will work to limit or eliminate the government's involvement in those aspects of our state whenever I can. Having small, limited government also allows the state to provide the services it does provide in a more efficient and cost effective manner. I do not believe the government should be involved in anything that a citizen or private entity can provide more effectively at a lower price with higher quality service. Low Taxes: Taxes are your money. The government does not have any money of it's own, every dollar is collected from you, the taxpayer. As your representative, I will work to make sure we take as few dollars as possible from you and that we spend the ones we do collect in the most efficient and frugal way possible. I envision our state eliminating the state income tax and I will work in any way that I reasonably can toward that goal. I also support zero based budgeting for all government departments. Government agencies should have to prove every year what they need from the taxpayer without simply being able to ask for more based on a prior year budget. Every department should start at zero, prove what they need, and be allocated funds based upon what is essential to them completing their mission. I also have noticed that often something that people call a "budget cut" is often a cut in additional spending, not a cut to current spending, this is deceiving and I will work to actually cut spending not simply increase it less.